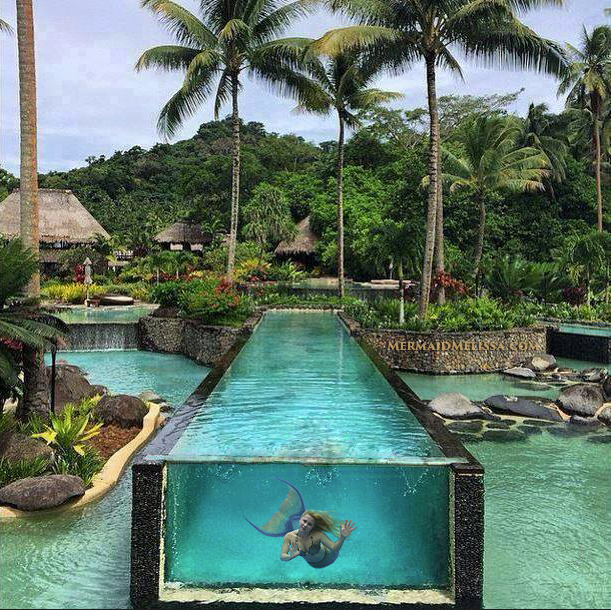 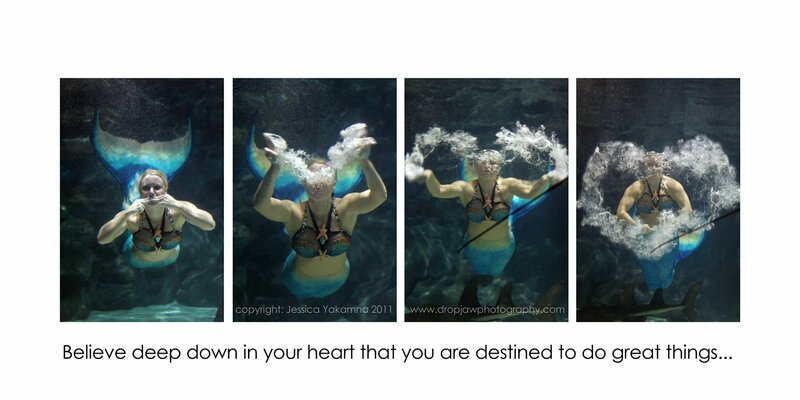 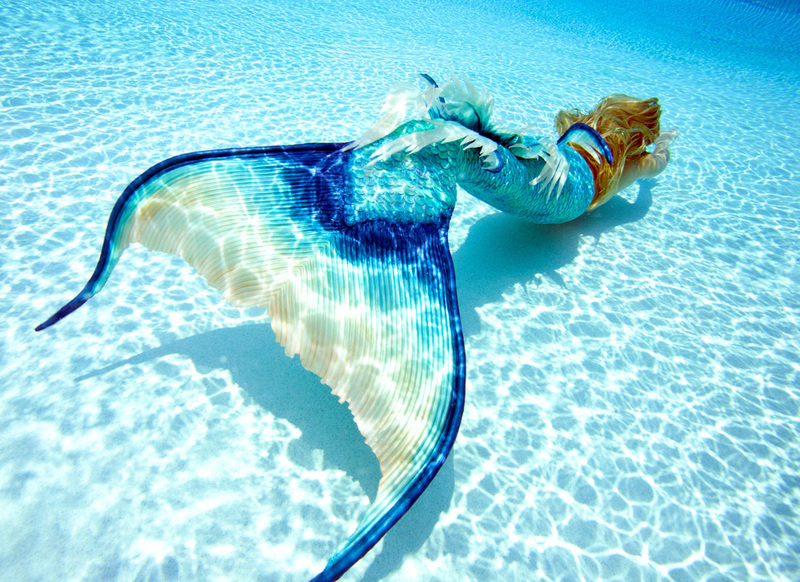 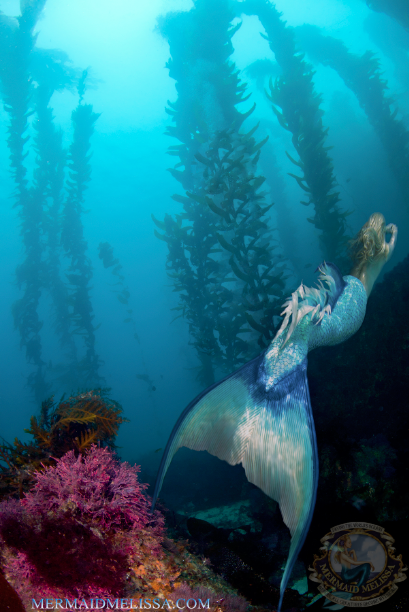 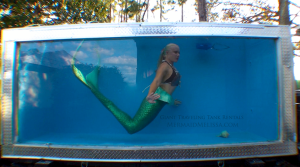 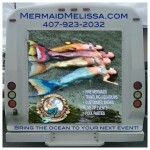 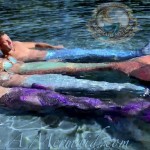 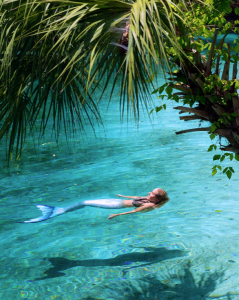 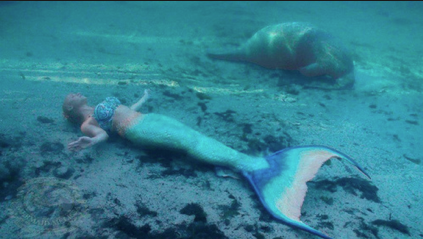 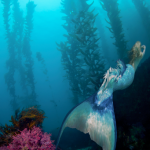 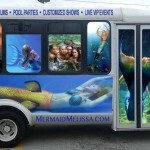 Name a place and chances are our aquatic performers have been scouted to mermaid there! 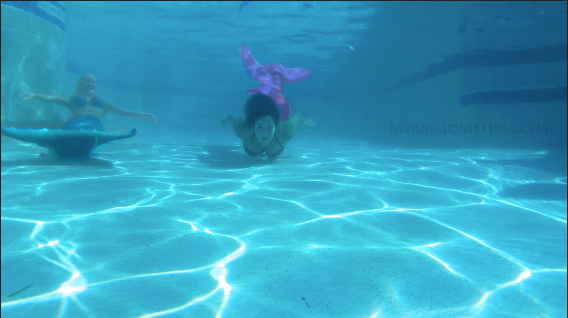 Our mermaid team traveled out of state for a special event this weekend poolside. 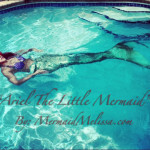 After a quick prep for our rehearsal run, the event began and by 10:00PM the mansion was packed with hundreds of people. 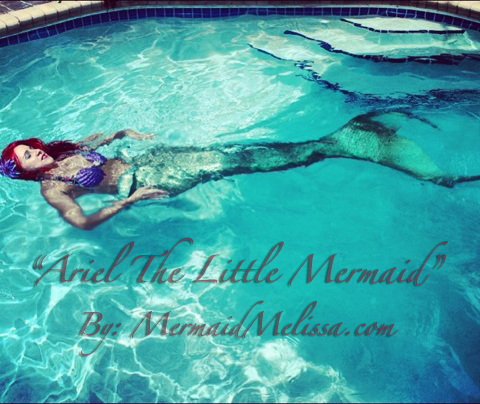 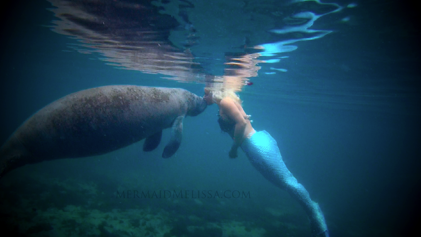 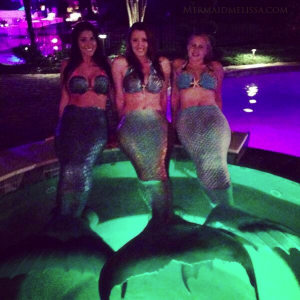 The guest enjoyed pictures posing with mermaids and taking video of Mermaid Melissa who “swam her tail off” having fun all night long. 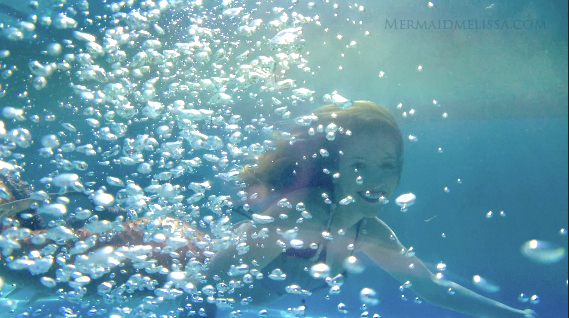 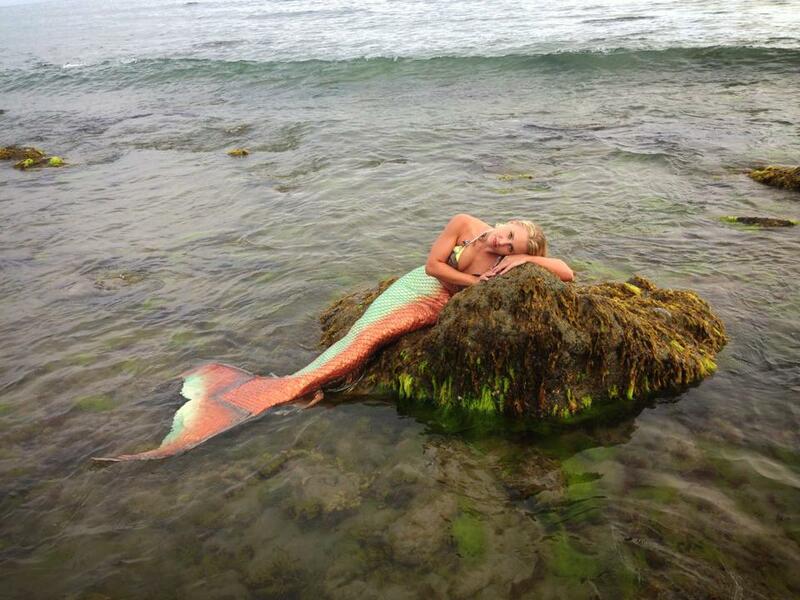 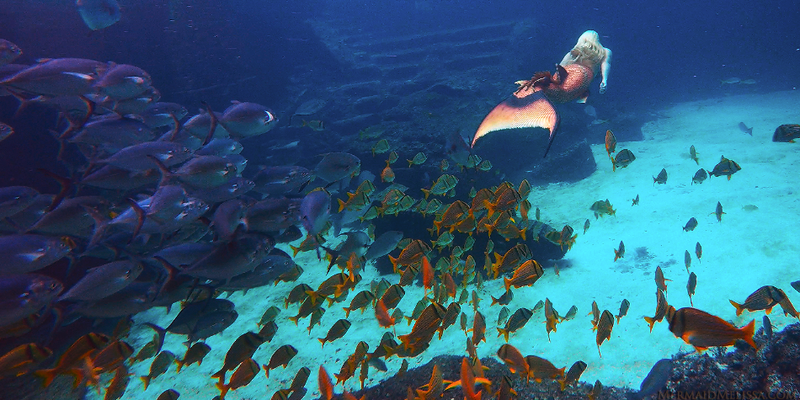 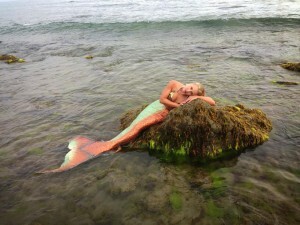 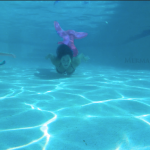 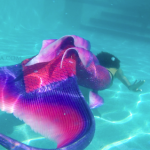 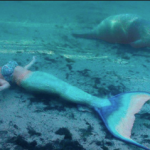 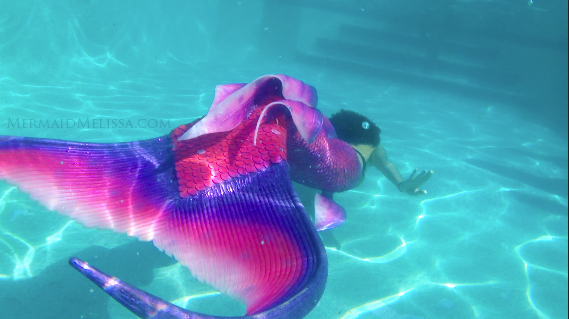 Guest were not expecting the surprise mermaid appearance and the reactions were priceless! 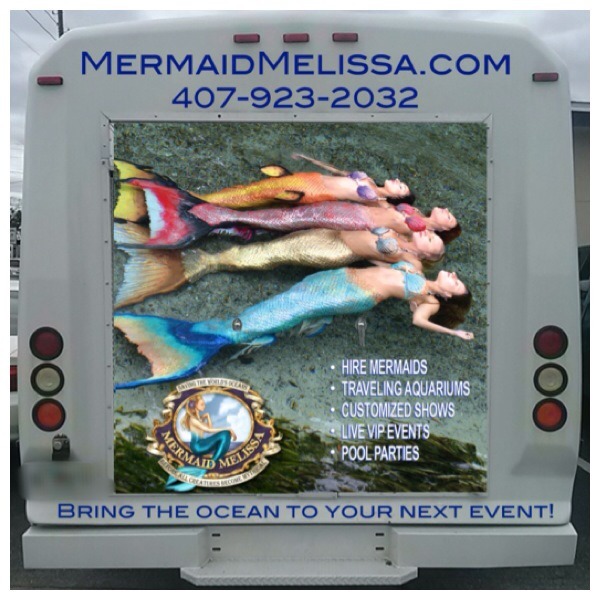 No one wanted the party to end, and as the night came to a close, the mermaids were carried off by our “mermaid wrangler” back on the road to our next stop making an appearance in aquariums, traveling tanks, and pool side events in a town near you!